This is the moment Freddie Flintoff smashed a pick-up truck into a market stall while racing his Top Gear co-hosts around a town centre. The former cricketer was racing Paddy McGuinness and Chris Harris during filming for the 22nd series of Top Gear. 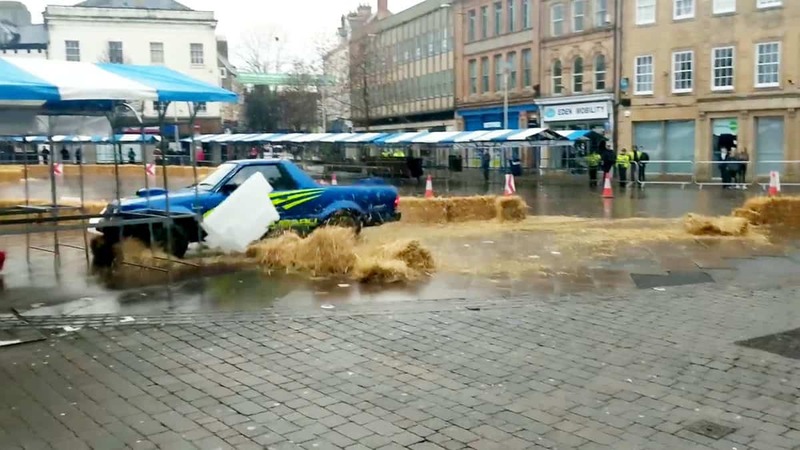 But after seemingly misjudging a bend he smashed the retro car straight through a buffer of straw bales and into an empty market stall in Mansfield on Sunday. Onlookers said red-faced Flintoff escaped the customised mid-90s Subaru MV pickup truck without any injuries. 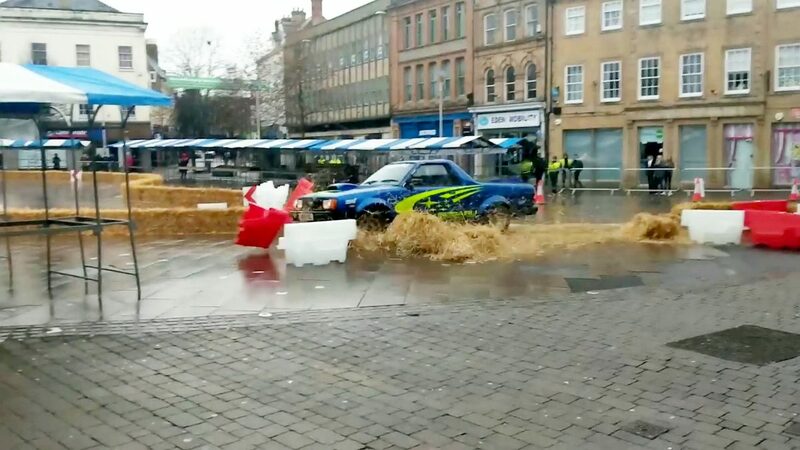 The footage, captured at 9.50am, shows the trio racing against each other around Mansfield Town Centre whilst testing the pros and cons of electric cars. Executive mayor of Mansfield, Kate Allsop, said the team arrived at 3am and had left by 11am. She joked they were going to name the market stall after the TV host. 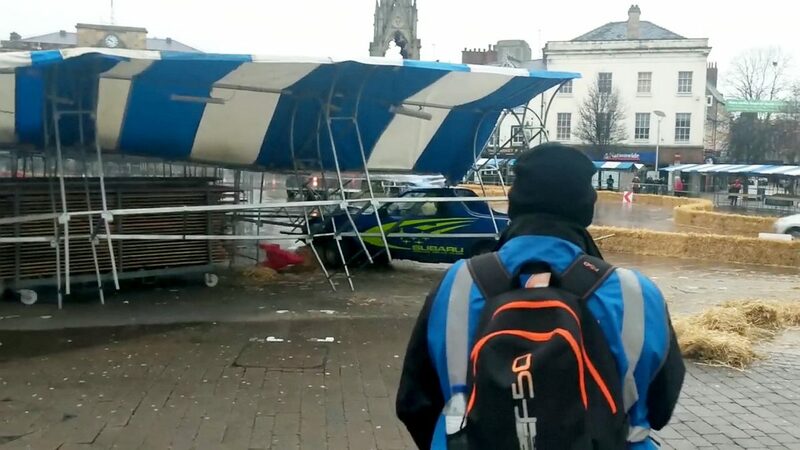 Mansfield District Council spokesman, said: “We can confirm that BBC Top Gear presenters Chris Harris, Freddie Flintoff and Paddy McGuinness were in Mansfield filming for an episode of the hit BBC Two show. “There was a risk that filming wouldn’t have gone ahead if word had got out in advance.